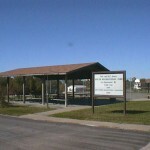 The New Strawn Community Center is located at the south end of the city across the street from the New Strawn City Lake. The community center is owned and managed by the City of New Strawn and is available to reserve for community and private events such as birthday parties, wedding receptions, reunions, fund raisers, auctions and business gatherings. 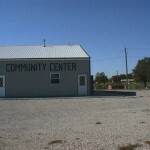 Many of New Strawn’s community events are held at the Community Center. Renting the center includes the main hall, a conference room, and kitchen facilities as well as tables and chairs. Please view the Rates & Rules page for pricing and general Community Center rules. 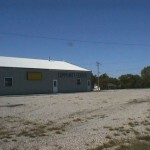 A signed rental agreement and deposit are required to rent the Community Center. Please see the reservations page to check for availability or to request a reservation.